The recent paradigm shift in the Indo-Pak relations may, on the face of it, seem just another phase in the rivalry between two countries born from the partition of a greater whole. However, the latest round of bitterness, terrorist attacks, surgical strikes, Kashmir valley unrest and the mutual attempts to expose spies do not seem so much a result of age-old rivalry as they are a result of China stoking and provoking pre-existing bad blood between the two South Asian rivals for its own gain, as well as to corner India. Here it is worth recalling that the latest round of Indo-Pak bitterness really took off on the day China declared diplomatic war against India, undermining India’s sovereignty, and hooting out its claims to Pakistan-occupied Kashmir (PoK) and Gilgit-Baltistan, by signing the agreement for China-Pakistan Economic Corridor (CPEC) with Islamabad, and without even asking for India’s opinion. After this sly act, China sat back and began to dangle the carrot of the CPEC before the world as well as to the populace of the affected territories, including PoK, Balochistan, and Gilgit-Baltistan. The Communist nation seems to be trying to convey to the people of these regions that the CPEC has the potential to boost prosperity and economic avenues after it becomes operational. Thus, China is probably trying to instigate the natives of these regions to protest against India so that the latter gives up its claims and objections, and accepts the illegal secession of these areas without any protest. 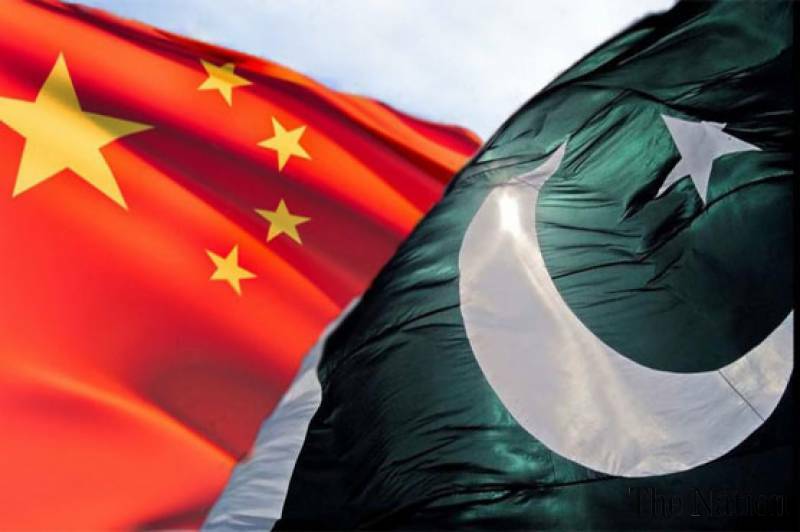 What Pakistan couldn’t do through half-a-century of nursing terrorism, China is trying to achieve in a few years using its Machiavellian diplomatic and economic aggression. Likewise, it is taking the same approach in Bangladesh by pitching in to build road connectivity from Kunming to Chittagong via Myanmar and Cox’s Bazar. This highway will be separate from the proposed Bangladesh-China-India-Myanmar (BCIM) economic corridor, the talks for which are underway. The underlying note of these efforts appears to be isolating and hurting India. The outcome of the Bangladesh move, expectedly, would be greater unrest in India’s Northeast region, some parts of which China has long craved to own. This attitude of China becomes very apparent when one analyses its comments, both after India objected to CPEC, and after China signed the treaties with Bangladesh. “It is regrettable to see CPEC become another unharmonious factor in Sino-India ties, but China is unlikely to give up on the idea of CPEC because of India’s protest,” an article in Global Times, which is China’s state-run publication, said when our External Affairs Minister, Sushma Swaraj, voiced India’s concerns over the corridor, which passes through PoK, Balochistan, and Gilgit-Baltistan. Furthermore, in October, a few days before the BRICS summit, the same Global Times, de facto controlled by People’s Daily, the mouthpiece of the Communist Party of China, emphasized in an article, “it would not necessarily be a bad thing if an increasingly close relationship between China and Bangladesh puts some pressure on New Delhi to rethink its strategy in this region and encourages it to put more effort into improving relations with China ….” In the same article, via the following paragraph, GT tried to hoodwink those who can see through China’s ambitions. This time, it is the CPEC around which China is professing peaceful intentions, but its aim is to demolish India’s claims and objections to Pakistan occupying part of Kashmir, and Gilgit-Baltistan being occupied through deceit. China is professing that its intentions are economic, but it is not only economic, as the country’s continued support to Pakistan, its joint military exercises with Pakistan, and its aggressive tendencies on Ladakh border amply indicate. And, of course, Aksai Chin, occupied by China since the 1962 war continues to be seceded from India, torn from India by China’s military might. The CPEC, when completed, would put Chinese military within a few hours’ distance from New Delhi backed by infrastructure and establishment of Pakistan. So, while the recent paradigm shift in the Indo-Pak relationship (seemingly built around speeches and signals sent by both countries before, after and on their respective Independence Days) seems impulsive on the surface, for India, it has deeper roots and stakes than just the fate of Kashmir or the fate of Gilgit-Baltistan. The CPEC is not an additional context in the paradigm shift in the Indo-Pak relationship. The disputes between India and Pakistan, over a myriad of issues ranging from trade to terrorism, have been going on since the two countries became independent identities. The CPEC acts as the catalyst for escalation of issues, including that of Kashmir and Gilgit-Baltistan, which have so far remained undecided and unresolved. It explains why now, of all times, India and Pakistan moved into strategic positions of no retreat with no way left for reconciliation. It is probably because the CPEC is scheduled to be completed by December 2016 and it may upset all political balance in the region – permanently. So, it’s never, if not now, as far as both countries are concerned. Understand this, CPEC runs through Pakistan-occupied Kashmir, Balochistan, and Gilgit-Baltistan. Once completed, it would directly link China’s Xinjiang Uyghur Autonomous Region to Gwadar Port in southwestern Pakistan. It may also enmesh Pakistan’s economy inextricably into that of China’s. This has the potential to end all hopes of India with regard to asserting its claims or maintaining its role in the precarious political balance over the disputed territories. Besides the obvious economic benefits of moving goods, with the CPEC in place Chinese troops would be able to move unimpeded through land up to the Arabian Sea at short notice, affecting and upsetting the entire economic and political balance in the region – which may gradually expand also to include Africa. Forget that the CPEC is currently being projected as a US$46 billion project that would apparently and magically turn Pakistan into a world economic hub while giving short shrift to India. The Army generals in Rawalpindi know well enough that as long as disputes over the sovereignty of the regions through which the CPEC runs remain undecided, it provides China the rationale and excuse to deploy troops all along the corridor ostensibly to “protect investments and economic interests”. China, however, would not be interested in manning the corridor’s security round the year, because it would be expensive and pointless without immediate political exigency. Once enabled, the CPEC’s military use would always remain open to China. So, it may also try to see that Pakistan’s claim over the disputed territories gets recognized and asserted before the international forums and polity. This may be one of the real reasons behind Pakistan trying to escalate its rhetoric and action on the Kashmir, Baloch, and Gilgit-Baltistan issues. Furthermore, there seem to be other factors involved that are conducive to the conflict and diplomatic locking of horns. The last time India and Pakistan made a major change to their international status and positioning, there was a BJP-led government in India, and Nawaz Sharif was the prime minister of Pakistan. On May 11, 1998, India catapulted itself into the club of nuclear powers by successfully detonating three nuclear bombs and adding two more on the next day. Not to be outdone, on May 28, Pakistan, under Nawaz Sharif, detonated five nuclear bombs against India’s five asserting itself as a nuclear power. For good measure, Pakistan detonated a sixth atomic bomb on May 30 in a bid to stay one up on India. Ten days before Pakistan conducted its nuclear tests, the Pakistani foreign minister travelled to China for ‘consultations’. Since the 1980s, China has supplied Pakistan with military tools and technology and is its major arms supplier. China continues in its occupation of areas (Aksai Chin), which it had usurped during the Indo-China war of 1962. And now it sees Pakistan as its strongest ally in Asia. Currently, Nawaz Sharif is the prime minister of Pakistan, and there is a BJP-led government in India. China started taking an interest in Gwadar port in 2002 when US forces entered Afghanistan and Central Asia. But they lost interest after Islamist violence against China in 2007 and in the face of Baloch opposition. China renewed its interest in gaining access to Gwadar port in 2015 through the CPEC, only when it found a familiar setting – Nawaz Sharif in Pakistan and BJP in India – back in the region. The Communist country also pushed up its schedule and said the route needs to be completed by December 2016, though the entire project execution may take a few years. Lately, Sharif has now started rallying his cronies. In view of the above developments, the India government must remain extremely cautious and chalk out an appropriate strategy for the CPEC is no tool of peace, but a tool of China’s imperialist ambitions. This entry was posted in blog on January 5, 2017 by admin. While I do have a little sense of foreign diplomacy of my nation, and my submission is that neither PAK not China are happy to have us as neighbors they both abhor a nation that is gaining increase popularity in the western nations. China can not stand the fact that India is working its way to compete with them. If we start setting up factory floors, which the Chinese have excelled at then we do not need Chinese goods and that will be a huge blow and our exports will grow substantially, well PAK is used as a diversionary tactic, nothing beyond this we wills soon over throw china to be the power house of Asia. Atleast I hope we succeed in it. Well written indeed, thanks for the views. China is using Pakistan to disturb India’s growth. But how long they can? India is having a great future and now its a challenge for China. Recently a Chinese giant planned to build their plant in India. Major defence related products exporters countries are interested that WAR, Battle & terrorist activities continue to increase their export businesses. I think we don’t need to improve the relation with Pakistan .. we are already trying this from last 70 years and now we have gvt who actually can remove pakistan from the MAP. The most unfortunate thing is that, the disintegrated part of India has always been a puppet of China and the US since independence. Pre-Bush era was always against India and the relationship stared improving from Jr. Bush times, US always supported Pakistan by giving aid and arms for different purpose but were misused against India. On the other side, the China played a silent killer game by supporting the rogue nation by transfer of nuclear technology, funded Pak to create unrest in India especially J&K, supported Narcotics, counterfeit currency, Naxalism from various borders. However, the US strategy was different although it neither envied about India nor was scared about it’s growth, it used Pak to keep an eye on China and Russia. But, China always looked at India as a threat for it’s development and eyed to become most powerful nation in Asia if not in the world earlier. Hence, it looked at India with envy and played a key role in worsening the Indo-Pak relationship. In short, the world is better off under US leadership compared to China. Very well thought and nicely drafted article.India must calibrate its responses accordingly. Some still think Chinese as dragons, but in reality, only giant pandas live there. What can you say about a big fat country that is not afraid to support Pakistani terrorists, but is fearful of an unarmed Dalai Lama. Why should India be bothered about the roads and rivers on the ground, when we have conquered time and space itself. With heavy supply of arrested FUND to Pakistan; it has no Independence to act on its own but transform all desire of China into reality. Pakistan don’t care for their PUBLIC for the inconvenience faced by them for doing so. Well thats a game nations with predominant geopolitical interests play, and China is just better at it. Overall good article but as per me Indo-Pak relations were never relations at all..They were just called at diplomatic level but down the line along Line of Control & International Border all are aware what is going on in form of Pakistan Govt sponsored terror so we should never even call these as so called INDO-PAKISTAN relations..Calling it as relation is a slap on our face plus degrading our status globally..Pakistan is a terrorist nation & accordingly it should be treated. I have been following Dawn for a quite sometime now and read the comments of the Pakistanis and for them CPEC or whatever is like the world’s greatest Economic Policy which will not only create jobs but will make Pakistan a major Economic Power in the world. I really feel pity on those Pakistanis for their enthusiasm relevant to CPEC. To be honest, no one cares about CPEC except Pakistan not even China. Pakistan is a toy to be toyed with. I don’t think there is any Chinese hand. But yes, China is taking advantage of Indo-Pak bitter relation. But then in politics especially global politics every country has a right to take such advantage. No doubt about it. China is supporting terrorism through Pakistan. In the meantime, China wants good business relationship with India. This is nothing but double standard. Terrorists are role models for China. Moreover, China is in close ties with Pakistan and Iraq on nuclear issues. What else! Productive minds for progress and non-productive ones for dissuading other’s! Indo-Pak is a debatable subject and in a clear stand way you can’t find solution in current world for what demands both sides have. But China has its own economic aspirations that it wants to achieve through Pak and equivocal to US they have a desire to rule the world, first Asia. You know that India need to be controlled down and Pak is a very good bet for it. Pak obviously struggling to find friends found a free treat of Shanghai Baloch trade zone agreement + defence support which is apparently visible to the world now. But worsening of this somewhat called relationship, as rightly pointed, Indian diplomatic strategy failure seems to be a bigger factor than China. It is a world known fact now that india boast a surgical strike in PoK and not sure how much damage was there. Making it public and patting your back has seemingly costed more than what you have to Pak. Strategically keeping it closed door would have helped with some diplomacy at summit levels. This time India’s sidelining of Pak is more negative than ever, and it is felt that sidelining should be neutral which can be opened for diplomatic developments temporarily. We saw a higher intensity insurgency and terrorist movement in valley than what it was before. “Worsen”? You mean the Indian Dormouse is opening an eye? Pakistan’s Ghazwa e Hind was British backed from 1921 through CENTO, US backed since Iran was dumed and the Tent of Saud embraced and has been China backed alongside the US since Nixon, Yamani and Kissinger. US made the Islamic Bomb happen, China made weaponization, minitaurization and delivery systems available. Have to take steps to decreases the dominance of China, otherwise it’s an alarming bell for India. Chinese reduced using IPHONE to give a shock to America and Apple. Can India and Indians do this?? The Chinese are targeting our neighbors as they are weak and can be easily convinced once shown money or so called technology, once done the Chinese will crush them like Mosquitos. They can’t touch India as we more brains and sense trouble. Bangladesh is in serious grip of Islamic radicalism and Modi and Sheikh Hasina must come on a consensus that this be identified and fought against. It is sure that Pakistan woud never have been so brave in making India an all-weather enemy had they not been an all-weather friend with China. Unless there is a common understanding between political parties, constitution cannot be amended. For this, congress needs to shed its reluctant attitude and Modi has to become more co-operative. It is a shame that the governor of Arunachal Pradesh had to go in such a manner. Many governors were likewise removed by BJP after 2014. Donald Trump has not contacted Indian prime minister even once although he is trying to tighten the noose around China. Modi must take the initiative and get in touch with Trump. CPEC is a threat not only in economic terms but also geopolitically. It crosses through parts of Kashmir that are under Pak occupation. UN sanctions must be brought against CPEC. Civil servants as governors means that they had vested interest in politics and political partied during their tenure as civil servant. This tell how bureaucracy helps politicians. China cannot threaten India for want of Pakistan support because we are a significant trade partner to China. By damaging any Indian interests, China will only make it difficult for itself to sell its manufactured goods. Recently a freight train was sent from China to London, an achievement that rarely can India dream of. With PM Modi, we can dream of global reputation owing to his diplomatic moves. India can and must use one china policy and tibet and taiwan issues as a diplomatic weapon against China. If they continue favouring Pakistan, India shoud go with United States and Japan. BCIM can be an Indian answer to China’s one belt one road project. Else India will continue as a small player not only in world but also in Asian context. Backing Pak in United Nations and not allowing UN to take action against a dreaded terrorist is what China has been doing for long. Why cant we severe all ties with China? It is never heard that a governor has reported to the central government any genuine constitutional breach by states. Then why do we at all need governors in states. China is emerging as a world leader no matter our GDP growth rate is better than them. This is a real threat as we have border disputes with them. In British era, governors used to govern the state with help of non-executive members in legislative council. Then there was no CM but now we have a proper head in legislature.